You can browse the complete archive here. Today, I will be giving you more insight on using search queries feature of Google Webmasters tool, and how you will be using it for improving your search engine presence. In the above video Maile Ohye has explained everything you need to know about using GWT search queries tab to improve the conversion, optimising your top pages, and other parameters you can use to further improve your site. Usually I combine this data with few other data provided by Google Analytics to improve the pages, and thus improve the overall user experience. One of the major reason for this is, your page meta description, and how result from your page is appearing in Google search. There are few things you can do to improve your CTR. Like, improving meta description, adding author image, removing dates and many other tricks that you could apply. 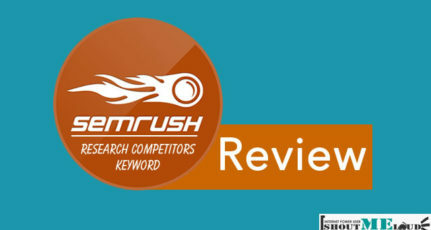 You can read all about it in my earlier post on: How to increase Google Search CTR. I usually try to improve queries whose average position is between 8-20, as it will not only improve the traffic, but my qualified traffic also increases because of this. 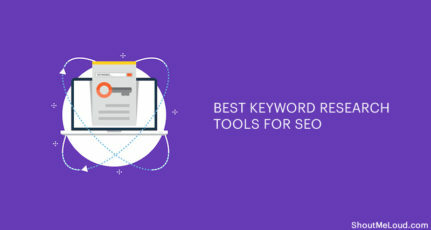 You can take help of our On-page optimization guide, or use a plugin like SEOPressor to improve a post for certain queries. Do remember, when I talk about improving the page, it means improving the overall quality of the page, including maintaining the SEO of your page. Your top pages are landing pages, and by improving them, you can improve the bounce rate, average time spent on site, and also use that page to drive traffic to other important pages of your site. Simply go to Top pages, Sort page by clicks and optimize that page further. If you are a blogger or Webmaster, you should see the above video, as this will not help you in understanding how search engine works, but also how you can use Google Webmaster tool to improve your site to great extent. I have a doubt. What are CLICKS exactly? 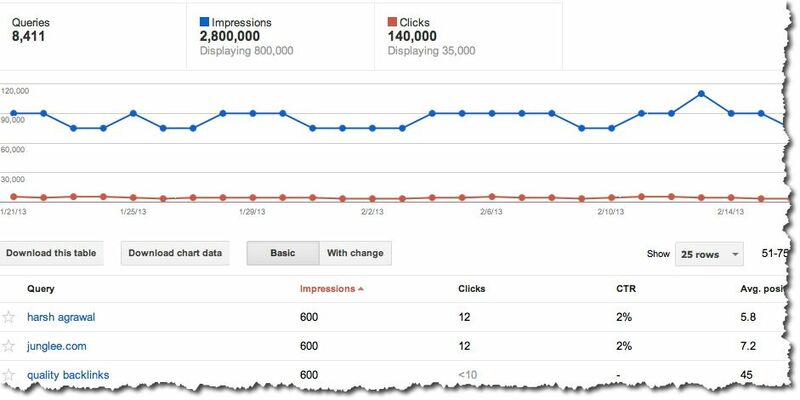 Are they clicks that readers click from your blog/site to outside or an external page? I’m really confused about that. Waiting for your reply with hope. First it’s impression, which means how many times people have seen the results in Google search when they searched for the query. For example, if 1000 people searched for query “ShoutMeLoud” and my blog homepage appears on the first page, my impression would be 1000. And if only 100 people clicked on link from my blog, clicks would be 100. Impression will be high or low, depending upon average position of your blog pages for particular queries in search. For example, if a page is on first page, it will have high impression, but pages on 2nd or more will have low number of impression, as searchers usually don’t go to 2nd, 3rd page if they find the desire result on first page. Hope that clears your doubt. I was a bit confused about making use of Search Queries in GWT. You really made it simple and informative. And https://www.shoutmeloud.com/wp-content/uploads/2013/02/Search-queries-Webmaster-tool.jpg You have a great hits of Impressions. I’ve seen this google webmasters video on the explanation of top pages and top queries and now with this article i understand the better methods to get maximum results.Thanks harsh. Google webmasters show some keywords in my blog. If I search them in google I can’t find my post. What is the reason behind that.? Thanks for the nice article. Just now i checked keyword for my website buzzingmyreview.com and i can see data present for average position field in GWT is wrong. 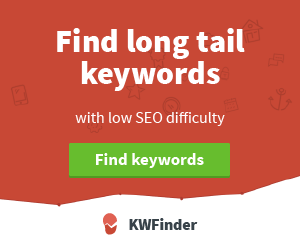 I have selected individual keyword and checked in Google search , but i am unable to find single keyword in the position that was mentioned in GWT. So what is the use if Data present in GWT is wrong. 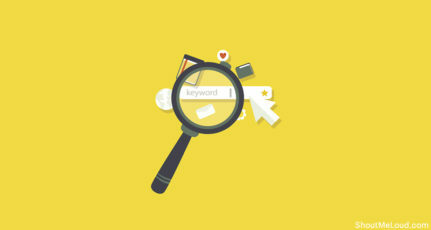 Shan Keyword position may vary, depending upon how you searching it. The average position is taken into account by calculating personalized search position + normal search position. You can use tools like Authoritylabs, which gives accurate result. First month is free to signup (Without credit card), so something that will interest you. Hey Harsh thanks for sharing the vid. I learned a lot from it. And btw the search stats to your blog are amazing. I am not that Very experienced in the Blogosphere but when I read about Your Previous articles regarding GWT I came to understand that it is very Important and I should make most of it. And I have been using it since my blog started receiving Traffic through Google. it has helped me So great that I have been able to Put more posts which are Search Engine friendly. 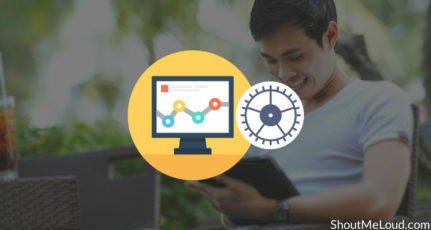 The best way to look at Google webmaster tools is to see it as an accessory in your search for the perfect website. It’s a tool, just as the product advertises itself. Keep in mind that it is a free tool, and that you can use it when you’d like. Watch how your business grows and use webmaster tools to steer it in the right direction. Anyway, good job for this article you wrote. Thanks!